Properties in Cedar Point Soak City Waterpark average 4.6 out of 5 stars. Property 2: Marblehead Cottage #1 @ East Harbor, 100 Yards From Water, Free Boat Dock. Property 10: Great cottage for fisherman and large family gatherings. 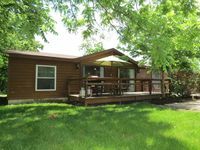 3/2 Bedroom, 2 Bath, Lakefront with sandy beach walk in no drop off wall. Property 15: 3/2 Bedroom, 2 Bath, Lakefront with sandy beach walk in no drop off wall. Property 22: This is a quiet get away that is close to everything. Log Cabin Cottage in Gem Beach, One Block from Beach! Property 23: Log Cabin Cottage in Gem Beach, One Block from Beach! Property 27: Lakefront Cottage with Amazing Views in an Ideal Location! Property 31: Our Little Secret is Out! Property 37: Lake Erie Lakefront! Property 40: Walking distance to downtown! Property 42: Luxury Lakefront Log Home! Property 46: Put In Bay Get-A-Way. BEACH House/Cottage; one of a kind. Private. Property 50: BEACH House/Cottage; one of a kind. Private. Home was great for our needs as we were there to fish. House is as advertised home owner was friendly and helpful. Highly recommend. Owner was VERY accommodating for us to make a last minute booking! House was small but had everything we needed. Only recommendation would be that it could use some decorative touches to make it more cozy and give it a vacation feel. Would definitely use again!